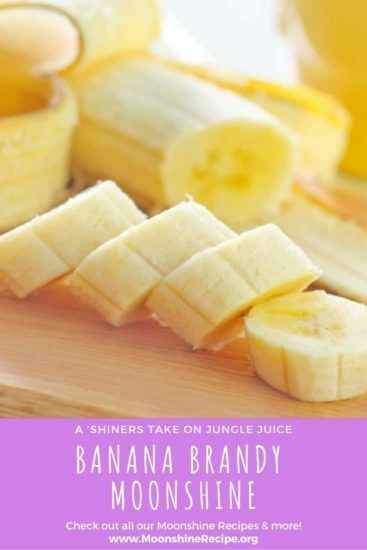 Ah, banana brandy – the wet (literally) dream of any fruit brandy lover. The best part about doing this type of moonshine is that it’s fairly simple to make. You don’t have to play around with temperature stages or sophisticated grain preparation methods. Just blend the bananas, add sugar and water, and there’s your mash bubbling away! However, the yeast choice is an important factor here as you’ll be fermenting a slightly different type of sugar than you normally do with corn or grains. So make sure to read our guide on moonshine yeast to get the most flavor out of this recipe. This one'll have you go - well, bananas! 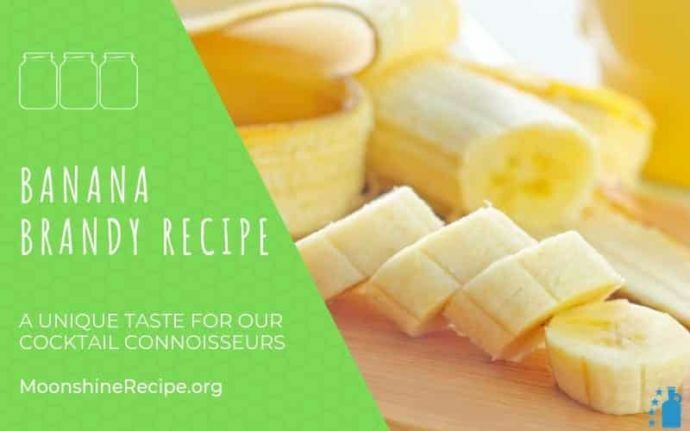 Peel bananas and blend to an uniform pulp. Pour 1 gallon of water, bring it to a boil, then mix in sugar until fully dissolved. Dump the banana pulp and the sugar syrup into the fermentation bucket, add the rest of the water as well. Make sure that the mix is at room temperature, then add yeast nutrient and yeast. Cover with lid, put airlock in place and keep the fermenter in a dark space with constant room temperature. Allow to ferment completely (10-14 days) until no visible activity in the airlock for at least 2-3 days. Open the fermenter, rack the wash off the yeast and fruit sediment into the still pot using a siphon tube. Distill as you normally would to obtain maximum flavor. First timer? Learn how! Your final proof and flavor will largely depend on the type of still used. Make sure to pick only ripe bananas that are full of flavor, avoid the green ones. The moonshine is good to drink right after distillation, however you can play around with barrel-aging to get a more complex flavor profile. Picking the right type of yeast will have a significant impact on flavor, so we strongly recommend reading our guide on the moonshine yeast types.